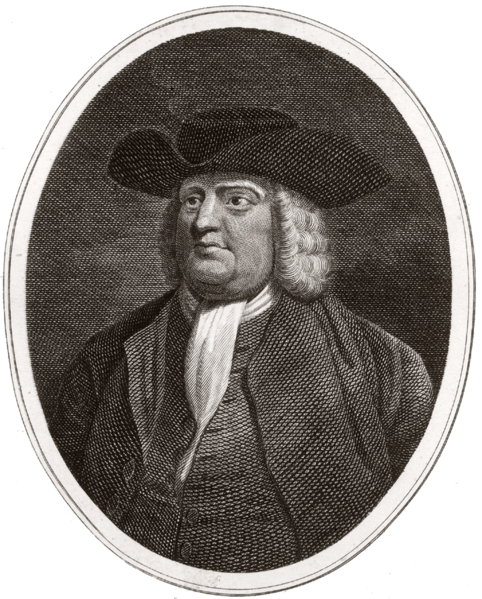 William Penn. (1644–1718). Fruits of Solitude. 1. It is admirable to consider how many Millions of People come into, and go out of the World, Ignorant of themselves, and of the World they have lived in. 2. If one went to see Windsor-Castle, or Hampton-Court, it would be strange not to observe and remember the Situation, the Building, the Gardens, Fountains, &c. that make up the Beauty and Pleasure of such a Seat? And yet few People know themselves; No, not their own Bodies, the Houses of their Minds, the most curious Structure of the World; a living walking Tabernacle: Nor the World of which it was made, and out of which it is fed; which would be so much our Benefit, as well as our Pleasure, to know. We cannot doubt of this when we are told that the Invisible Things of God are brought to light by the Things that are seen; and consequently we read our Duty in them as often as we look upon them, to him that is the Great and Wise Author of them, if we look as we should do. 3. The World is certainly a great and stately Volume of natural Things; and may be not improperly styled the Hieroglyphicks of a better: But, alas! how very few Leaves of it do we seriously turn over! This ought to be the Subject of the Education of our Youth, who, at Twenty, when they should be fit for Business, know little or nothing of it. 4. We are in Pain to make them Scholars, but not Men! To talk, rather than to know, which is true Canting. 5. The first Thing obvious to Children is what is sensible; and that we make no Part of their rudiments. 6. We press their Memory too soon, and puzzle, strain, and load them with Words and Rules; to know Grammer and Rhetorick, and a strange Tongue or two, that it is ten to one may never be useful to them; Leaving their natural Genius to Mechanical and Physical, or natural Knowledge uncultivated and neglected; which would be of exceeding Use and Pleasure to them through the whole Course of their Life. 7. To be sure, Languages are not to be despised or neglected. But Things are still to be preferred. 8. Children had rather be making of Tools and Instruments of Play; Shaping, Drawing, Framing, and Building, &c. than getting some Rules of Propriety of Speech by Heart: And those also would follow with more Judgment, and less Trouble and Time. 9. It were Happy if we studied Nature more in natural Things; and acted according to Nature; whose rules are few, plain and most reasonable. 10. Let us begin where she begins, go her Pace, and close always where she ends, and we cannot miss of being good Naturalists. 11. The Creation would not be longer a Riddle to us: The Heavens, Earth, and Waters, with their respective, various and numerous Inhabitants: Their Productions, Natures, Seasons, Sympathies and Antipathies; their Use, Benefit and Pleasure, would be better understood by us: And an eternal Wisdom, Power, Majesty, and Goodness, very conspicuous to us, thro’ those sensible and passing Forms: The World wearing the Mark of its Maker, whose Stamp is everywhere visible, and the Characters very legible to the Children of Wisdom. 12. And it would go a great way to caution and direct People in their Use of the World, that they were better studied and known in the Creation of it. 13. For how could Man find the Confidence to abuse it, while they should see the Great Creator stare them in the Face, in all and every part thereof? 14. Their Ignorance makes them insensible, and that Insensibility hardy in misusing this noble Creation, that has the Stamp and Voice of a Deity every where, and in every Thing to the Observing. 15. It is pity therefore that Books have not been composed for Youth, by some curious and careful Naturalists, and also Mechanicks, in the Latin Tongue, to be used in Schools, that they might learn Things with Words: Things obvious and familiar to them, and which would make the Tongue easier to be obtained by them. 16. Many able Gardiners and Husbandmen are yet Ignorant of the Reason of their Calling; as most Artificers are of the Reason of their own Rules that govern their excellent Workmanship. But a Naturalist and Mechanick of this sort is Master of the Reason of both, and might be of the Practice too, if his Industry kept pace with his Speculation; which were very commendable; and without which he cannot be said to be a complete Naturalist or Mechanick. 17. Finally, if Man be the Index or Epitomy of the World, as Philosophers tell us, we have only to read our selves well to be learned in it. But because there is nothing we less regard than the Characters of the Power that made us, which are so clearly written upon us and the World he has given us, and can best tell us what we are and should be, we are even Strangers to our own Genius: The Glass in which we should see that true instructing and agreeable Variety, which is to be observed in Nature, to the Admiration of that Wisdom and Adoration of that Power which made us all. 18. And yet we are very apt to be full of our selves, instead of Him that made what we so much value; and, but for whom we can have no Reason to value our selves. For we have nothing that we can call our own; no, not our selves: For we are all but Tenants, and at Will too, of the great Lord of our selves, and the rest of this great Farm, the World that we live upon. 19. But methinks we cannot answer it to our Selves as well as our Maker, that we should live and die ignorant of our Selves, and thereby of Him and the Obligations we are under to Him for our Selves. 20. If the worth of a Gift sets the Obligation, and directs the return of the Party that receives it; he that is ignorant of it, will be at a loss to value it and the Giver, for it. 21. Here is Man in his Ignorance of himself. He knows not how to estimate his Creator, because he knows not how to value his Creation. If we consider his Make, and lovely Compositure; the several Stories of his lovely Structure. His divers Members, their Order, Function and Dependency: The Instruments of Food, the Vessels of Digestion, the several Transmutations it passes. And how Nourishment is carried and diffused throughout the whole Body, by most innate and imperceptible Passages. How the Animal Spirit is thereby refreshed, and with an unspeakable Dexterity and Motion sets all Parts at work to feed themselves. And last of all, how the Rational Soul is seated in the Animal, as its proper House, as is the Animal in the Body: I say if this rare Fabrick alone were but considered by us, with all the rest by which it is fed and comforted, surely Man would have a more reverent Sense of the Power, Wisdom and Goodness of God, and of that Duty he owes to Him for it. But if he would be acquainted with his own Soul, its noble Faculties, its Union with the Body, its Nature and End, and the Providences by which the whole Frame of Humanity is preserved, he would Admire and Adore his Good and Great God. But Man is become a strange Contradiction to himself; but it is of himself; Not being by Constitution, but Corruption, such. 22. He would have others obey him, even his own kind; but he will not obey God, that is so much above him, and who made him. 23. He will lose none of his Authority; no, not bate an Ace of it: He is humorous 1 to his Wife, he beats his Children, is angry with his Servants, strict with his Neighbors, revenges all Affronts to Extremity; but, alas, forgets all the while that he is the Man; and is more in Arrear to God, that is so very patient with him, than they are to him with whom he is so strict and impatient. 24. He is curious to wash, dress, and perfume his Body, but careless of his Soul. The one shall have many Hours, the other not so many Minutes. This shall have three or four new Suits in a Year, but that must wear its old Cloaths still. 25. If he be to receive or see a great Man, how nice and anxious is he that all things be in order? And with what Respect and Address does he approach and make his Court? But to God, how dry and formal and constrained in his Devotion? 26. In his Prayers he says, Thy Will be done: But means his own: At least acts so. 27. It is too frequent to begin with God and end with the World. But He is the good Man’s Beginning and End; his Alpha and Omega. 28. Such is now become our Delicacy, that we will not eat ordinary Meat, nor drink small, pall’d 1 Liquor; we must have the best, and the best cook’d for our Bodies, while our Souls feed on empty or corrupted Things. 29. In short, Man is spending all upon a bare House, and hath little or no Furniture within to recommend it; which is preferring the Cabinet before the Jewel, a Lease of seven Years before an Inheritance. So absurd a thing is Man, after all his proud Pretences to Wit and Understanding. 30. The want of due Consideration is the Cause of all the Unhappiness Man brings upon himself. For his second Thoughts rarely agree with his first, which pass not without a considerable Retrenchment or Correction. And yet that sensible Warning is, too frequently, not Precaution enough for his future Conduct. 31. Well may we say our Infelicity is of our selves; since there is nothing we do that we should not do, but we know it, and yet do it. 32. For Disappointments, that come not by our own Folly, they are the Tryals or Corrections of Heaven: And it is our own Fault, if they prove not our Advantage. 34. We must needs disorder our selves, if we only look at our Losses. But if we consider how little we deserve what is left, our Passion will cool, and our Murmurs will turn into Thankfulness. 35. If our Hairs fall not to the Ground, less do we or our Substance without God’s Providence. 36. Nor can we fall below the Arms of God, how low soever it be we fall. 37. For though our Saviour’s Passion is over, his Compassion is not. That never fails his humble, sincere Disciples: In him, they find more than all that they lose in the World. 38. Is it reasonable to take it ill, that any Body desires of us that which is their own? All we have is the Almighty’s: And shall not God have his own when he calls for it? 39. Discontentedness is not only in such a Case Ingratitude, but Injustice. For we are both unthankful for the time we had it, and not honest enough to restore it, if we could keep it. 40. But it is hard for us to look on things in such a Glass, and at such a Distance from this low World; and yet it is our Duty, and would be our Wisdom and our Glory to do so. 41. We are apt to be very pert at censuring others, where we will not endure advice our selves. And nothing shews our Weakness more than to be so sharp-sighted at spying other Men’s Faults, and so purblind about our own. 42. When the Actions of a Neighbor are upon the Stage, we can have all our Wits about us, are so quick and critical we can split an Hair, and find out ever Failure and Infirmity: But are without feeling, or have but very little Sense of our own. 43. Much of this comes from Ill Nature, as well as from an inordinate Value of our selves: For we love Rambling better than home, and blaming the unhappy, rather than covering and relieving them. 44. In such Occasions some shew their Malice, and are witty upon Misfortunes; others their Justice, they can reflect a pace: But few or none their Charity; especially if it be about Money Matters. 45. You shall see an old Miser come forth with a set Gravity, and so much Severity against the distressed, to excuse his Purse, that he will, e’er he has done, put it out of all Question, That Riches is Righteousness with him. This, says he, is the Fruit of your Prodigality (as if, poor Man, Covetousness were no Fault) Or, of your Projects, or grasping after a great Trade: While he himself would have done the same thing, but that he had not the Courage to venture so much ready Money out of his own trusty Hands, though it had been to have brought him back the Indies in return. But the Proverb is just, Vice should not correct Sin. 46. They have a Right to censure, that have a Heart to help: The rest is Cruelty, not Justice. 47. Lend not beyond thy Ability, nor refuse to lend out of thy Ability; especially when it will help others more than it can hurt thee. 48. If thy Debtor be honest and capable, thou hast thy Mony again, if not with Encrease, with Praise: If he prove insolvent, don’t ruin him to get that, which it will not ruin thee to lose: For thou art but a Steward, and another is thy Owner, Master and Judge. 49. The more merciful Acts thou dost, the more Mercy thou wilt receive; and if with a charitable Imployment of thy Temporal Riches, thou gainest eternal Treasure, thy Purchase is infinite: Thou wilt have found the Art of Multiplying 1 indeed. Note 1. The term used by the alchemists for increasing the precious metals. 50. Frugality is good if Liberality be join’d with it. The first is leaving off superfluous Expences; the last bestowing them to the Benefit of others that need. The first without the last begins Covetousness; the last without the first begins Prodigality: Both together make an excellent Temper. Happy the Place where ever that is found. 51. Were it universal, we should be Cur’d of two Extreams, Want and Excess: and the one would supply the other, and so bring both nearer to a Mean; the just Degree of earthly Happiness. 52. It is a Reproach to Religion and Government to suffer so much Poverty and Excess. 53. Were the Superfluities of a Nation valued, and made a perpetual Tax or Benevolence, there would be more Alms-houses than Poor; Schools than Scholars; and enough to spare for Government besides. 54. Hospitality is good, if the poorer sort are the subjects of our Bounty; else too near a Superfluity. 55. If thou wouldst he happy and easie in thy Family, above all things observe Discipline. 56. Every one in it should know their Duty; and there should be a Time and Place for every thing; and whatever else is done or omitted, be sure to begin and end with God. 57. Love Labor: For if thou dost not want it for Food, thou mayest for Physick. It is wholesom for thy Body, and good for thy Mind. It prevents the Fruits of Idleness, which many times comes of nothing to do, and leads too many to do what is worse than nothing. 58. A Garden, an Elaboratory, a Work-house, Improvements and Breeding, are pleasant and Profitable Diversions to the Idle and Ingenious: For here they miss Ill Company, and converse with Nature and Art; whose Variety are equally grateful and instructing; and preserve a good Constitution of Body and Mind. 59. To this a spare Diet contributes much. Eat therefore to live, and do not live to eat. That’s like a Man, but this below a Beast. 60. Have wholesome, but not costly Food, and be rather cleanly than dainty in ordering it. 61. The Receipts of Cookery are swell’d to a Volume, but a good Stomach excels them all; to which nothing contributes more than Industry and Temperance. 62. It is a cruel Folly to offer up to Ostentation so many Lives of Creatures, as make up the State of our Treats; as it is a prodigal one to spend more in Sawce than in Meat. 63. The Proverb says, That enough is as good as a Feast: But it is certainly better, if Superfluity be a Fault, which never fails to be at Festivals. 64. If thou rise with an Appetite, thou art sure never to sit down without one. 65. Rarely drink but when thou art dry; nor then, between Meals, if it can be avoided. 66. The smaller 1 the Drink, the clearer the Head, and the cooler the Blood; which are great Benefits in Temper and Business. 67. Strong Liquors are good at some Times, and in small Proportions; being better for Physick than Food, for Cordials than common Use. 68. The most common things are the most useful; which shews both the Wisdom and Goodness of the great Lord of the Family of the World. 69. What therefore he has made rare, don’t thou use too commonly: Lest thou shouldest invert the Use and Order of things; become Wanton and Voluptuous; and thy Blessings prove a Curse. 70. Let nothing be lost, said our Saviour. But that is lost that is misused. 71. Neither urge another to that thou wouldst be unwilling to do thy self, nor do thy self what looks to thee unseemly, and intemperate in another. 72. All Excess is ill: But Drunkenness is of the worst Sort. It spoils Health, dismounts the Mind, and unmans Men: It reveals Secrets, is Quarrelsome, Lascivious, Impudent, Dangerous and Mad. In fine, he that is drunk is not a Man: Because he is so long void of Reason, that distinguishes a Man from a Beast. 73. Excess in Apparel is another costly Folly. The very Trimming of the vain World would cloath all the naked one. 74. Chuse thy Cloaths by thine own Eyes, not another’s. The more plain and simple they are, the better. Neither unshapely, nor fantastical; and for Use and Decency, and not for Pride. 75. If thou art clean and warm, it is sufficient; for more doth but rob the Poor, and please the Wanton. 76. It is said of the true Church, the King’s Daughter is all glorious within. Let our Care therefore be of our Minds more than of our Bodies, if we would be of her Communion. 77. We are told with Truth, that Meekness and Modesty are the Rich and Charming Attire of the Soul: And the plainer the Dress, the more Distinctly, and with greater Lustre, their Beauty shines. 78. It is great Pity such Beauties are so rare, and those of Jezebel’s Forehead are so common: Whose Dresses are Incentives to Lust; but Bars instead of Motives, to Love or Vertue.